In the case of Blogger blogs, our host is Google.. which is a pretty sweet deal! Like any other hosting company (Bluehost, HostGator, FatCow, DreamHost..) Google DOES NOT own your content, the same way any other hosting company doesn’t own their client’s content. (That is another big misconception about Blogger.) Hosts (even Google) are just ‘holding’ it for you and displaying it on your little corner of the internet, it is still YOURS and cannot be taken away from you. The biggest difference between Google-hosting an other privately-hosted blogs, is that Google holds our content for free, and without any bandwidth limitations or a big monthly bill! So does this free hosting come with a hidden ‘cost’? Well.. sorta. 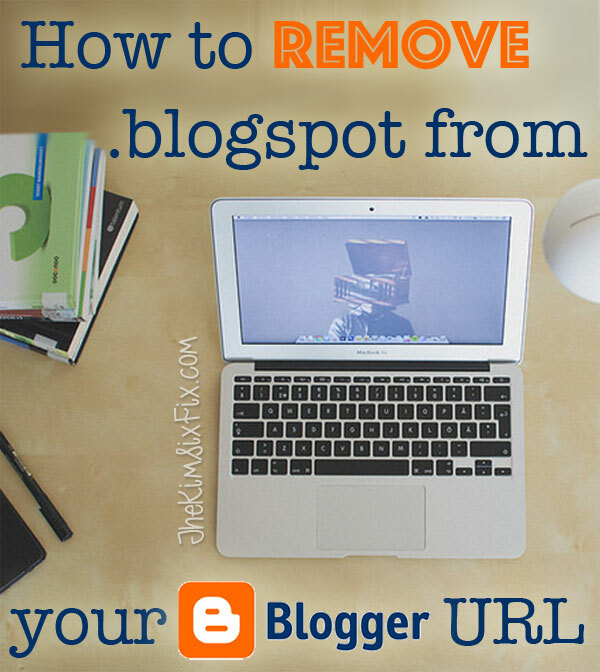 If you just blog on Blogger and use their free platform, you are stuck with a .blogspot subdomain URL. Google doesn’t provide free custom domain names. But I have good news! For a couple bucks a year, you can actually buy your own domain name, and set up a redirect so you get all the perks of FREE hosting with the customization of your own URL! Have your cake and eat it too! Nice right? To buy a domain though GoDaddy you just set up an account, search for a URL you want to use (typically it is the URL of a blog without the .blogspot on it) and buy it. Depending on the popularity of that URL it can be $10 all the way to hundreds. And frequently GoDaddy has 99c sales where the first year of your domain is only a dollar! When you hit enter you will get an Error message. THIS IS CORRECT!!! Don’t freak out! We need Blogger to generate some specific information for us now that it knows what the new URL is going to be. You will see some Host Record names listed under your domain. You are going to eventually need this information, so either copy it down or leave this window open when you proceed to the next step. If you aren’t seeing your blog in a list you can toggle views using the different view options in the upper right hand corner of the screen. However this time we will select CNAME. That brings up another form with the same fields. This time we are going to need the records we generated earlier in step 1.) These are specific to your blog and are found on your blogger dashboard. TTL: 1 hourClick “add Another"
CLICK the trash can next to that file name. Now we have to go back into blogger and save our new redirect settings. Once you hit save you should successfully see your new URL listed under the publishing tab. BUT WE AREN”T DONE YET!! You want to make sure that your new URL works with both the full name: www.YOURBLOGNAME.com as well as with it’s “naked” URL (which is the web address without the WWW on it.) To do that, click “edit” on your new blog address. Then make sure you have clicked the redirect box under third party domain settings. And that is all there is to it. You are good to go! GoDaddy (and Google) typically tell you it can take up to 60 minutes for the domain redirect to work, but I haven’t found that to be the case. Almost all the redirects I have ever done are live and working almost immediately. If you aren’t seeing your redirect (or it redirects to a GoDaddy holding page) you want to double check that you have added everything correctly, and deleted the redundant CNAME file. CONGRATULATIONS on the new domain! I’d love to see them! Leave a link in the comments and I’ll be sure to check it out! Thank you Kim! This is a wonderful tutorial, I was able to get through the whole process, while being interrupted twice by my littlest without a single hitch! Words cannot say how much I appreciate this! 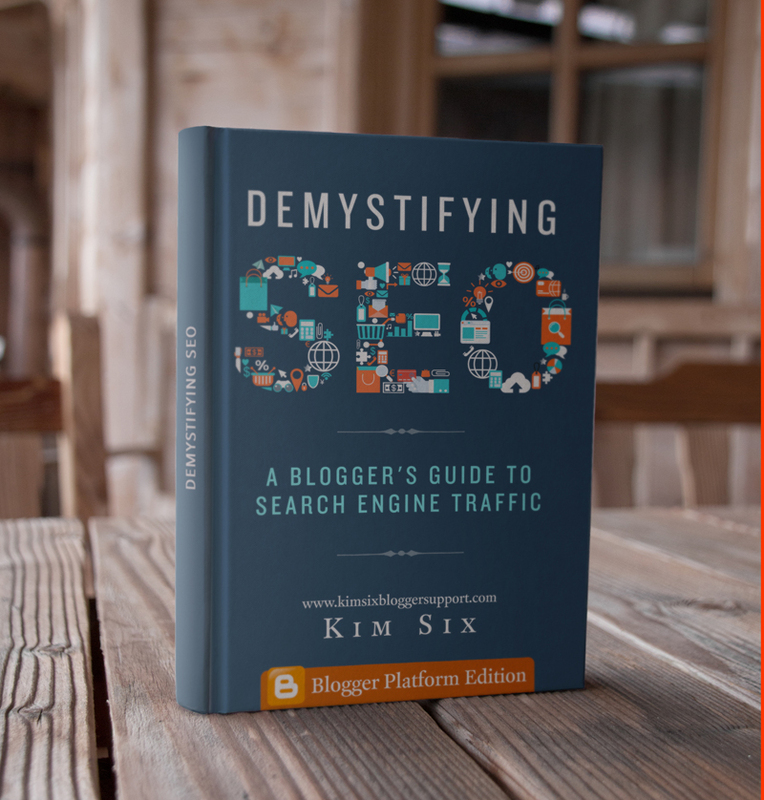 The most comprehensive book about SEO specifically written for bloggers using the Blogger platform. What Does It Really Cost To Run A Blog? Why do I blog on Blogger? Why Do I Write Sponsored Posts? What is Haven? What Makes It Special? What Does It Take To Write A Blog Post? All information on this site is provided completely free of charge. In order to thank me for my time and knowledge, I would love if you would share my blog with any other bloggers you know. Pinning, tweeting or sharing my posts on Facebook would be wonderful. Alternatively, you also can donate directly to me via Paypal using the button below. All contents of this site are property of TheKimSixFix® LLC. Copyright 2016 . Powered by Blogger.